“A total loser!” is what President Trump is calling his loyal aide’s husband on Twitter. 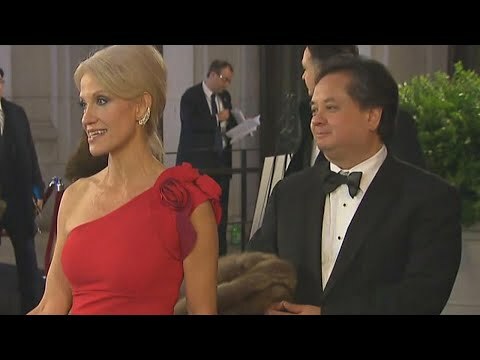 George Conway is known as one of Trump’s most vocal critics, but his attacks got fiercer than ever Monday, when he tweeted images from the American Psychiatric Association’s “Diagnostic and Statistical Manual of Mental Disorders” and highlighted pages including symptoms of narcissistic personality disorder and antisocial personality disorder. Kellyanne says she doesn’t share her husband’s concerns.